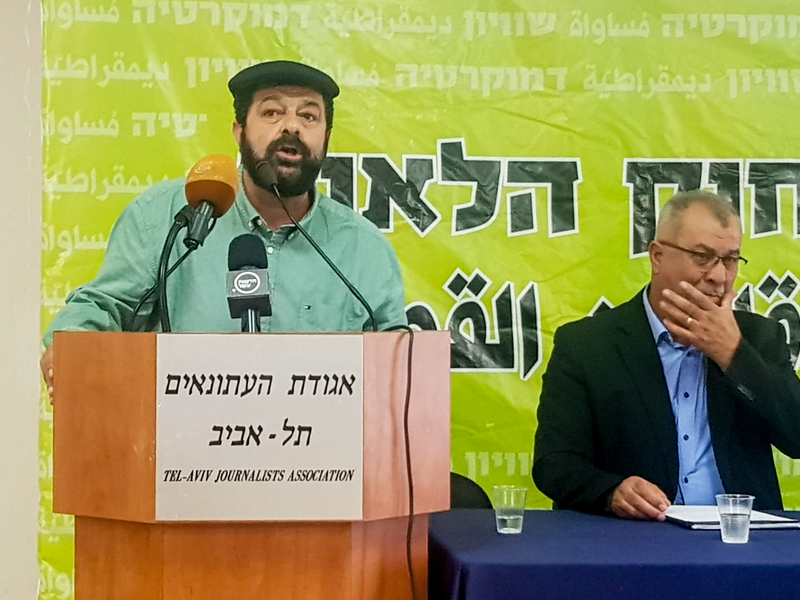 Adalah files Israeli Supreme Court petition on behalf of Arab political leadership in Israel, including High Follow-Up Committee for Arab Citizens, the National Committee of Arab Mayors, and the Joint List Members of Knesset. Adalah – The Legal Center for Arab Minority Rights in Israel filed a petition against the new Jewish Nation-State Basic Law this morning (Tuesday, 7 August 2018) at the Israeli Supreme Court in Jerusalem. 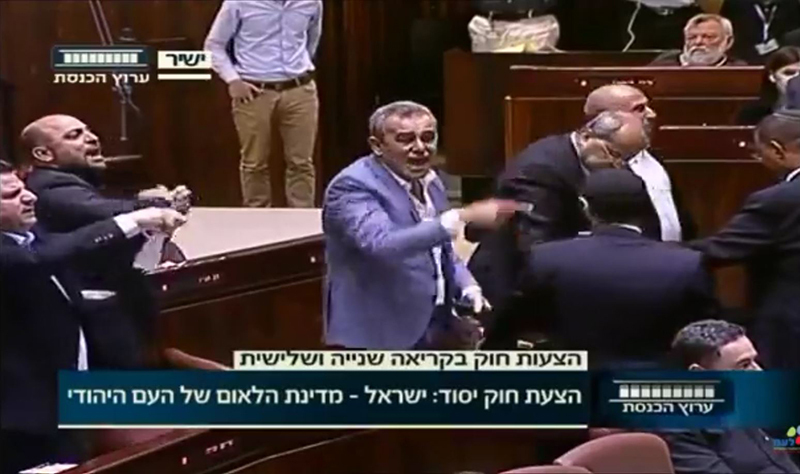 The petition was submitted on behalf of all of the Arab political leadership in Israel – the High Follow-Up Committee for Arab Citizens of Israel, the National Committee of Arab Mayors, the Joint List parliamentary faction, and in the name of Adalah – against the Knesset. On 19 July 2018, the Israeli Knesset voted 62 to 55 to approve the Jewish Nation-State Basic Law that constitutionally enshrines Jewish supremacy and the identity of the State of Israel as the nation-state of the Jewish people. The petitioners stress that "a law that denies the civil and national rights of Palestinians in their homeland is racist, colonialist, and illegitimate." In a nearly 60-page petition, the petitioners maintain that the Israeli Supreme Court must annul the Jewish Nation-State Basic Law as it is racist legislation that contradicts all norms of international law. By explicitly declaring that Israel is the nation state of the Jewish people alone, it totally excludes Palestinian citizens of Israel, who comprise 20 percent of the population of the state, and who are a homeland minority group. Adalah attorneys Hassan Jabareen, Suhad Bishara, Myssana Morany, Fady Khoury, and Sawsan Zaher, who surveyed the constitutional history of multiple states around the world, stress in the petition that: "There is no [other] constitution in the world today containing a clause that determines that the state belongs to one ethnic group or that a given state is exclusive to a certain ethnic group." It is further argued in the petition that "countries that defined themselves as belonging to only one group – such as the United States in the 19th century and South Africa until the fall of apartheid – were perceived as colonialist because they were based on the principle of ethnic superiority, imposed a constitutional identity on other national groups, and excluded the indigenous population… There is also no single constitution in the world that does not include the right to equality for all its citizens and residents." It is also argued that, in violation of the United Nations charter, the Jewish Nation-State Basic Law negates the right of the Palestinian people to self-determination. In addition, the law's application to East Jerusalem and the Golan Heights also stands in violation of international law, which considers these areas to be occupied. Regarding the collective rights of Palestinian citizens of Israel and the status of the Arabic language, attorneys argue in the petition that "the Nation-State Law – in violation of international law – does not recognize any collective right of the Arabs as a homeland minority, as opposed to enshrining broad exclusive collective rights for the Jewish population, as if Jews were a minority requiring special protection. [The law also] demotes Arabic from its previous status as an official language and declares that Arabic will not be an official language in this land for the first time in modern history." Regarding Article 7 of the Nation-State Law, the petition contends that the State of Israel declares "that it is solely for the benefit of the Jews" and therefore must exclude Arabs "in order to promote and encourage Jewish settlement." Article 7 "marks Arab citizens – wherever they may be – as 'the other' and the state must therefore discriminate in the allocation of land, housing, budgets and incentives, and land planning and zoning." The petition explains that "there is no single constitution in the world today that declares in its laws that it will act to advance the interests of the dominant group, particularly when it concerns public resources such as land."